Corner homesite with amazing views! 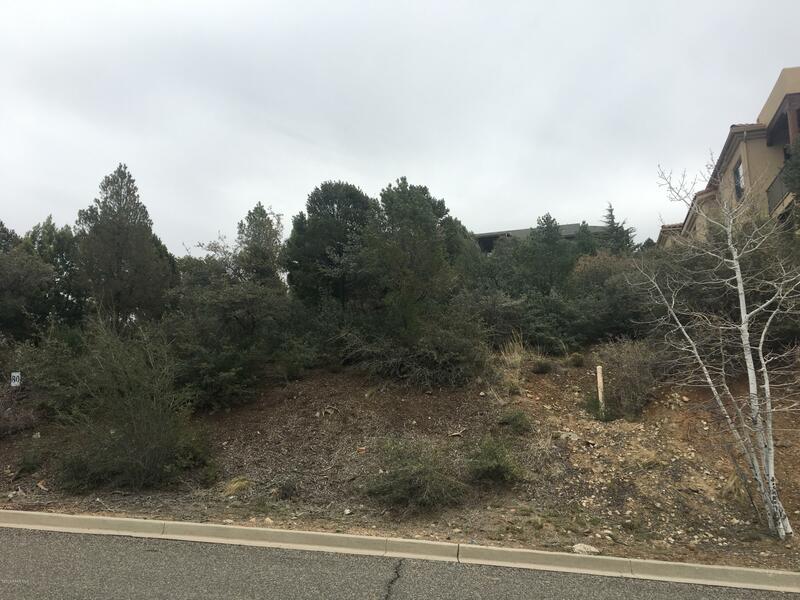 Nicely vegetated parcel with unobstructed views overlooking the city, Thumb Butte, and Granite Mountain. All City of Prescott utilities, plus a fire hydrant on the lot. Low HOA dues in a Firewise community, just a mile from beautiful downtown Prescott, with easy access to all aspects of the area. Very close to Acker Park, a charming 80 acre wilderness park with hiking trails, picnic areas, and an open air theater. Upscale homes built all around. HOA information is available at www.prescottfoothills.com. Build your dream home here!